Edward Stratton III is a millionaire, who is childish. One day, he discovers that he has a son, Ricky. Ricky is more mature than Edward. Edward decides to take Ricky in, and Ricky tries to help Edward act more maturely. Also hanging around is Kate, Edward's secretary, who has a thing for him but is shy to tell him. But thanks to Ricky not only do they get together but get married. Also dropping by every now and then is Edward's father, who is a curmudgeon, who disapproves of Edward's childish antics. During the early years of the series, Ricky meets Derek Taylor (Jason Bateman, appearing 1982-83) and Freddy Lippencottleman (Corky Pigeon), appearing from 1982-85). They get into a lot of trouble and learn all the childhood lessons along the way. Ricky also tries to teach his father Edward to grow up and be an upstanding adult, while Edward taught Ricky to be a kid and have fun. Guest stars that have appeared on the show included Whitney Houston, Joey Lawrence, Matthew Perry, Mr. T, Menudo, Jonna Lee, Gary Coleman (in a crossover from Diff'rent Strokes as Arnold Jackson), Sharon Stone, and Ray Walston. Baseball Hall of Famer Tommy Lasorda appeared at the end of one episode. 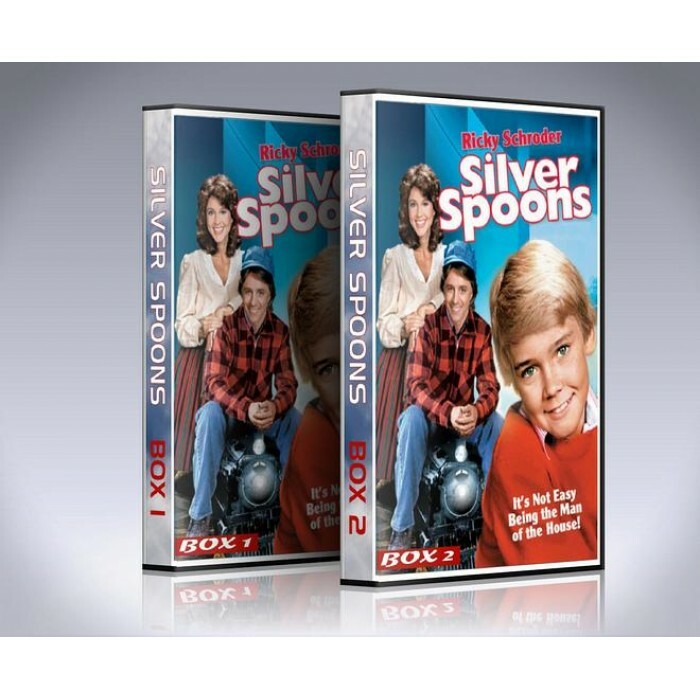 -Contains every episode of Silver Spoons.